If you were the owner of your perfect yacht and you lost her to a natural disaster, what would you do? If you are Jeff and Adrienne Cone, you accept what is, pick yourselves up and find a more perfect yacht. The Cones, previously owners of a Moorings 4800, are now the proud owners of a Moorings 4500, and they are sharing their ownership story with us. Jeff and Adrienne have been familiar with our Ownership Program for quite some time.In fact, Adrienne's Mom worked for The Moorings during the time that our headquarters was making the transition from New Orleans to Clearwater, FL. Adrienne had grown up sailing, and it was some time around 2011 that the couple had started to frequent boat shows around the US. 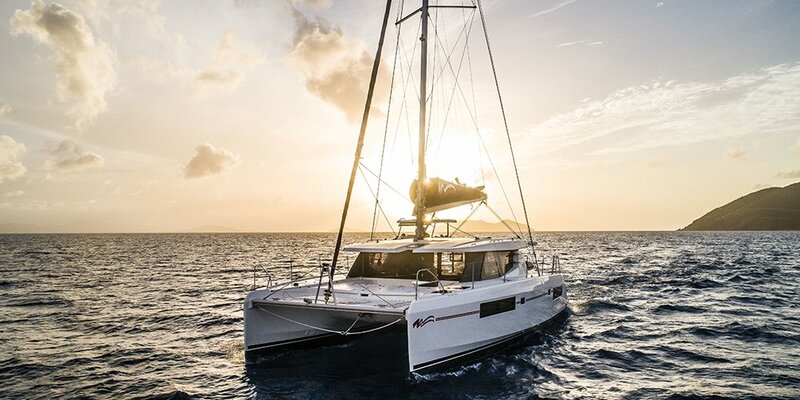 They would spend hours at each boat show climbing aboard every catamaran on the market and trying to figure out what it was that they wanted in a yacht. With some Moorings Yacht Owners you will find that the purpose of their being in the program is to visit many destinations, for others, they choose our program because of the integrity of our company, for others it's the amount of owner's use, the list goes on. For this couple, considering they intend to live aboard their boat when she is phased out of the program, I was curious-- did they join our ownership program because of the yachts or because of the program itself? Jeff revealed, "It was a combination of both. We just felt like the stars aligned. In July of 2013 our family chartered a Moorings 5800 and a Moorings 4800. After that trip we fell in love with the 4800." The two non-negotiable items for the couple was a boat that they could put into a charter fleet and a boat that they could have a full-time, live-aboard crew on while in the charter fleet. The reason for buying into the program on a crewed yacht was for the fact that they would have a crew at the base to personally take care of their boat and maintain her, and they would be able to gain knowledge and experience from the Captain of their vessel. When asked if they had considered private ownership, they explained that for what they were planning on doing, the cost of private ownership was too high. In 5 years, after participating in the program and becoming skilled sailors, they could confidently depart from the Caribbean and begin their journey around the world. "The timing for the program was great, we were not experienced catamaran sailors, so we needed practice. We spend a week or two on our own boat per year, but then we also take out the same type of yacht that we own but a bareboat version without a captain so we can gain experience for ourselves. When we retire we want to sail around the world for about ten years. 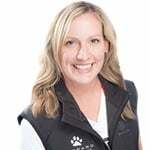 Once we are done with the program we know we have a very well-maintained boat and all the depreciation had been paid," Adrienne explained. 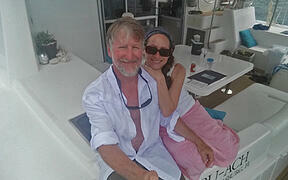 Jeff and Adrienne thoroughly enjoyed their Moorings 4800, Ru-Ach, for a few years in our BVI charter fleet. When they received the news that Ru-Ach did not survive Hurricane Irma, they were devastated. Shortly after discovering the fate of their yacht, they had the opportunity to sail a Leopard 45 (Moorings 4500) in Fort Lauderdale, FL, and it was then that they knew what their next move would be. The couple decided that this was the yacht they were going to buy, and they did. "While we hadn't ever thought that we would own another boat, it was time for us to start looking again and when we had the opportunity to sail the new 4500, we knew we were going to love that boat. The Moorings 4500 was easier and more fun to sail. The layout of the helm station flows much better, although the helm station is a bit smaller. Most of the time it will be just the two of us on board so the biggest thing for us is that I can control the boat better and I can see better. We lost space, but we gained other things. If you have never sail the 4800, you aren't going to miss anything because the 4500 is so well laid-out." Jeff and Adrienne purchased a Moorings 4500 Crewed Yacht in the BVI and they are thrilled to own this upgraded model. The couple has just returned from two weeks in the BVI. The first week they were on a Moorings 4500 and the second week they spent aboard a Moorings 4800. Having the opportunity to really compare their new yacht to their old yacht, they concluded that they could not be more pleased with their new Moorings 4500, Wind Therapy. Wind Therapy arrived in the BVI a few weeks ago, and Jeff attests, "We are very excited to have our new baby." As for future sailing plans for the Cones? They have big goals. "We want to spend two seasons in the Caribbean, then visit Bermuda, the Azores and do two seasons in the Mediterranean. From there we will come back to the Caribbean and do the ARC.We hope to have our grandson spend a month or two with us each summer, no matter where we might be." If you are interested in purchasing a yacht through The Moorings and would like to obtain more information on how our insurance works, please head over to our sister company's blog to learn more.